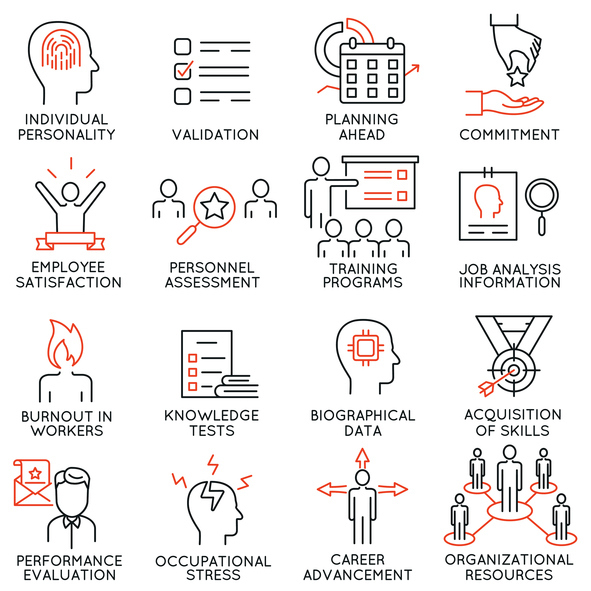 We use a variety of assessment methodologies and tools designed to understand leadership effectiveness, organizational performance, team dynamics, cultural influences, and employee concerns. Strategic Partners’ coaches and consultants are certified to analyze and interpret dozens of multi-rater instruments. Extensive experience conducting leadership assessments in diverse organizations equips us with the sensitivity and savvy required to make it safe for our clients to look at criticism, and for us to effectively manage resistance when it occurs. We begin each feedback session by establishing credibility, discussing confidentiality, and addressing how the material will be handled. We spend time up front establishing a context for working with the person by asking them to share what they are up against as a leader, and what their most recent learning priorities have been and why. Typically, we inquire about how the person is feeling about the feedback assessment process and bring feelings or resistance to the surface to be explored. It is routine to ask the feedback recipient about what they think their reputation is with their boss, peers and direct reports. This is useful baseline information to have as we help them identify, clarify or validate their development needs. The first 90-minute meeting is structured to help our client move into a reflective space and make meaning of the data without becoming overwhelmed. We come to the meeting with a solid sense of our client’s towering strengths and potential blind spots. We are ready to point out trends/patterns/conflicts in the data and have a hypothesis about what the key development needs are. We are prepared with powerful questions designed to help our clients look beneath the surface and unlock insight. Together we assess and determine what the potential key development opportunities might be. In a second 90-minute meeting, we provide an opportunity to revisit the list of potential development areas we generated in the first session and answer questions that have emerged since the first meeting. Together we prioritize the learning goals and design/customize experiential learning activities to accelerate desired growth/change/improvement. Most times, the coaching recipient completes a development plan stating agreed upon developmental priorities, learning objectives, desired outcomes, and learning activities that include associated progress indicators, required resources and success measures. Other times, we just focus on the “One Big Thing” … that is, the one skill to build, or behavior to change that will have the biggest return on investment based on what the organization is asking them to do. We see the learning process as fluid and planning documents as simply tools to provide structure, align parties and support success. While we prefer to provide feedback in face-to-face conversation, when distance dictates, we are happy to deliver the same content by telephone or Skype. Optional accountability and reinforcement meetings can be built into the process to refresh enthusiasm and refine or add learning activities over time. These meetings typically take place at the three and six month mark. In addition, ongoing bi-weekly coaching can be arranged for those ready for the rigor of a full coaching engagement. Our coaches are certified to use the following psychological and leadership assessments — and we are always adding to our toolkit!